Yahoo has reported an uncharacteristic rise in revenue for the second quarter, but it came with a hefty sum spent on boosting its search traffic. Total sales for the period ending June 30 were $US1.24 billion, up 15 per cent from the previous year. In the company's announcement, CEO Marissa Mayer called it the most substantial growth in revenue in nearly nine years. Yahoo's revenue from search ads and display ads both grew, at rates of 22 per cent and 15 per cent, respectively. It would appear that Mayer's efforts to turn around the struggling Internet portal have begun to pay off. Yahoo has struggled in recent years to grow its ad sales and attract users to its various online properties. But Yahoo paid a lot for those gains. The company's cost of revenue, or TAC, which is the amount Yahoo paid to search partners to acquire traffic, skyrocketed. It nearly quintupled, from $US44 million in the second quarter of last year to $US200 million. Those sorts of search partnerships have increased in recent months. Earlier this month, Yahoo said it was testing search results and ads from several companies, including Google. Last month, Yahoo announced a deal with Oracle to promote Yahoo search within Java. 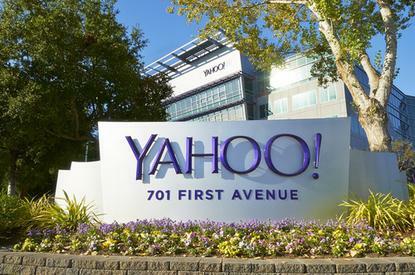 Reflecting those added expenses, Yahoo's net earnings fell sharply, from a profit of $US270 million in last year's second quarter to a loss of $US22 million. Excluding the expenses, Yahoo's earnings per share were $US0.16, slightly below analysts' estimates of $US0.18, as polled by the Thomson Financial Network. In after-hours trading late Tuesday, Yahoo's stock was at $US39.50, down from its $US39.73 close.